We're delighted to offer exciting performance spaces, seating and Box Office services for hire. Sir John Mills Theatre, Ipswich. Photo by Carl Lamb. The Sir John Mills Theatre is a flexible studio space, seating a maximum of 120 in traverse or 70 to 84 end-on. 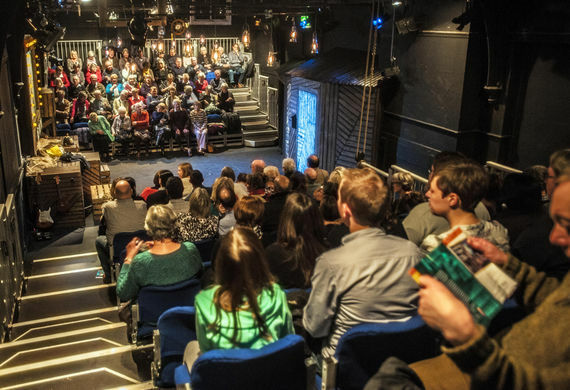 The theatre is available to hire for performances, talks or as a rehearsal space. Hire rates include using our Box Office services for ticket sales and technical and bar facilities. To find out more, please contact our Theatre Manager Jon Tavener. Centrally located in Ipswich, the building was originally a Victorian primary school but has since been converted into a working theatre. There are Front of House facilities including Box Office and alcohol bar, and toilet facilities, including disabled access. Plus a backstage area for performers, costume and set. 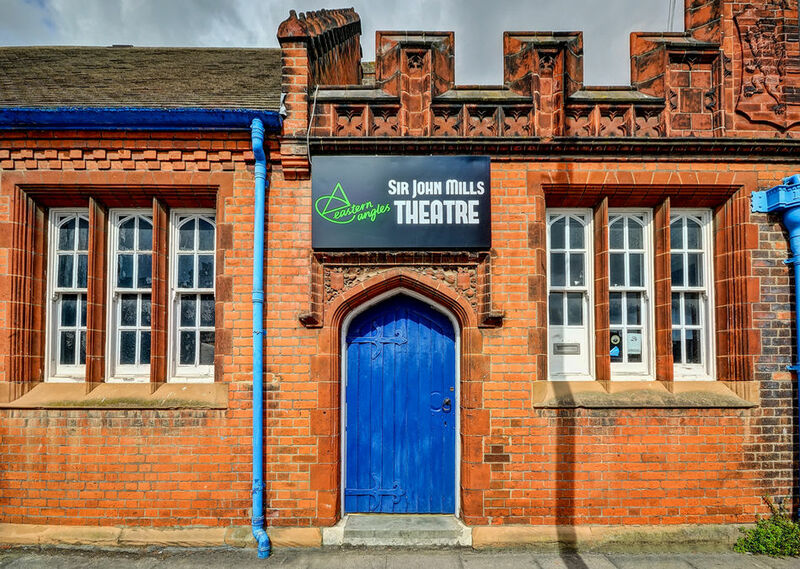 The Sir John Mills Theatre often hosts local amateur societies, such as The Gallery Players and Two Rivers, as well as music and comedy nights for professional performers. The Undercroft is our pop-up theatre in Peterborough. The venue is located at Serpentine Green Shopping Centre. The Undercroft is a vibrant space for community groups, drama workshops, theatrical shows, live podcasts and cabaret nights. 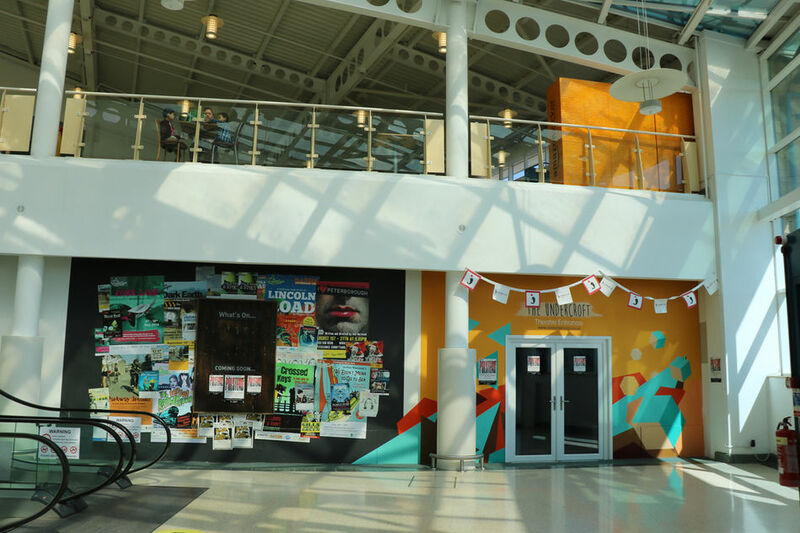 The Undercroft has a studio space for performances, a large Front of House area, which can also be used for exhibits, and a rehearsal space for workshops. If you'd like more information on the space and are interested in hiring the space, please call us on 01473 218202 or email the team. 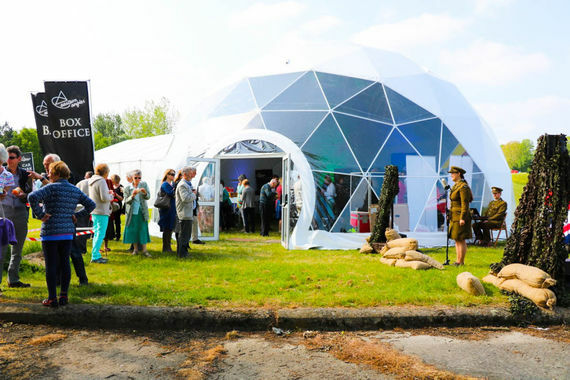 Eastern Angles’ Front of House Pavilion is available to hire. 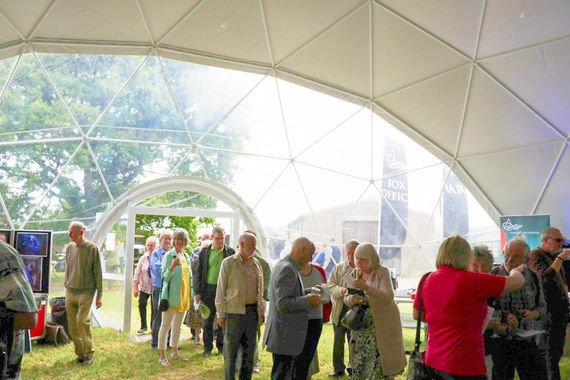 Great for outdoor events, the Pavilion’s dome structure is perfect for housing pre-event refreshments and a place to mingle beforehand. The Pavilion has been used for SPILL Festival of Performance and for site-specific theatre events with Eastern Angles. Full details on the dimensions and cost can be found by contacting our Production Manager Steve Cooney. Eastern Angles provides mobile seating for hire. User-friendly and easily demountable, the aluminium-based, upholstered seating can help transform any space into a conference centre, sports auditorium, theatre or festival centre. With a row rise of 30cm (1ft) - to provide maximum viewing potential - this very flexible, comfortable and safe system complies with all recent European regulations. A typical build is usually 174 seats. Up to 320 flip-up seats are available for indoor or outdoor use. Rates of hire are very competitive with discounts for arts and community use. On our tours a crew of 6 could assemble 120 seats in less than 2 hours and dismantle the build in under an hour. What configurations are available and how much room does it need? Up to 13 rows deep and 30 seats wide (though not at the same time). Minimum no. of rows is 4. With a 30cm rise a person standing at the top of a 10-row set-up will be around 3m off the ground. Seat width is a generous 500mm so a 13-seat row plus aisle (2 seats) will be 7.5m wide. Row depth is 762mm. (10 rows requires 8m). The system is erected in component bays of 3 seats width (1500mm). Aisles can be central or either side of the seating according to spec. A lower rise is available for the first four rows for venues with low ceilings. To receive specifications and more information, please contact our Production Manager Steve Cooney. If you have an event which needs a Box Office ticketing service, we can provide it. We can offer a live 24hr ticket booking solution for any size event at any venue. We also have a manned box office in Ipswich from Monday to Friday, 10am to 2pm.